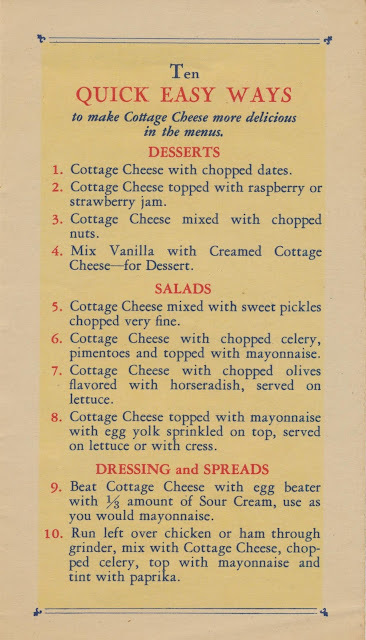 Have you ever wondered if you cottage cheese could talk, what would it say to you in your mirror? 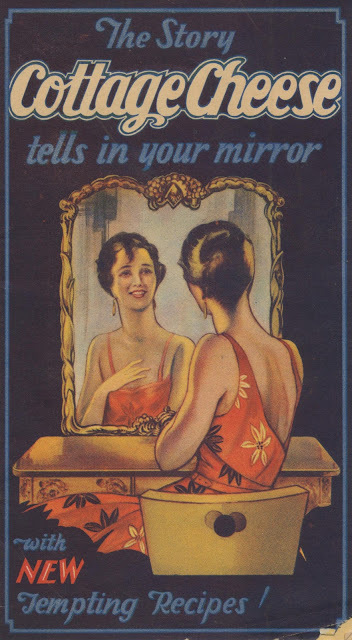 Well, I have a pamphlet for you. Funny coincidence that this weekend I am going to post a story to my blog about restaurant diet plates from the 1950s to 1980s. 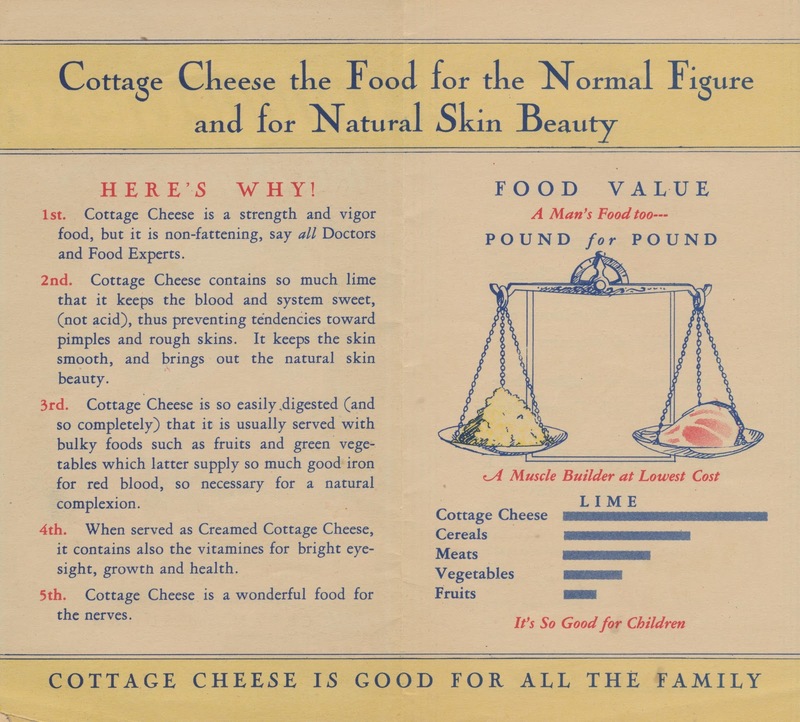 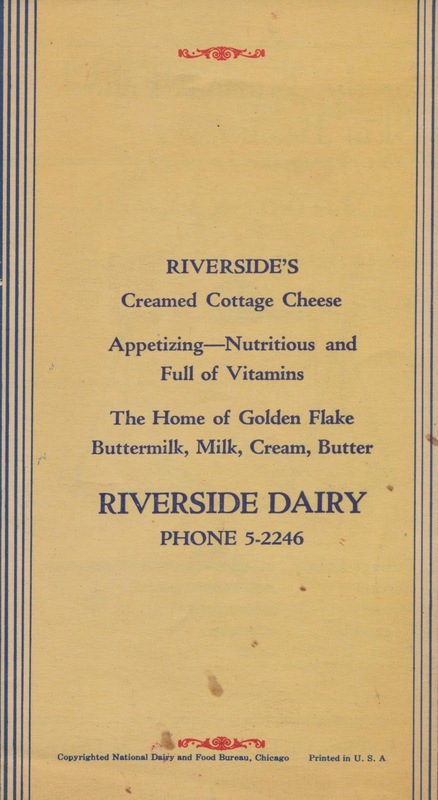 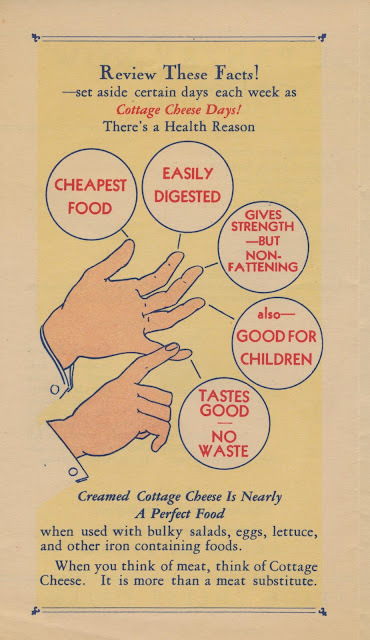 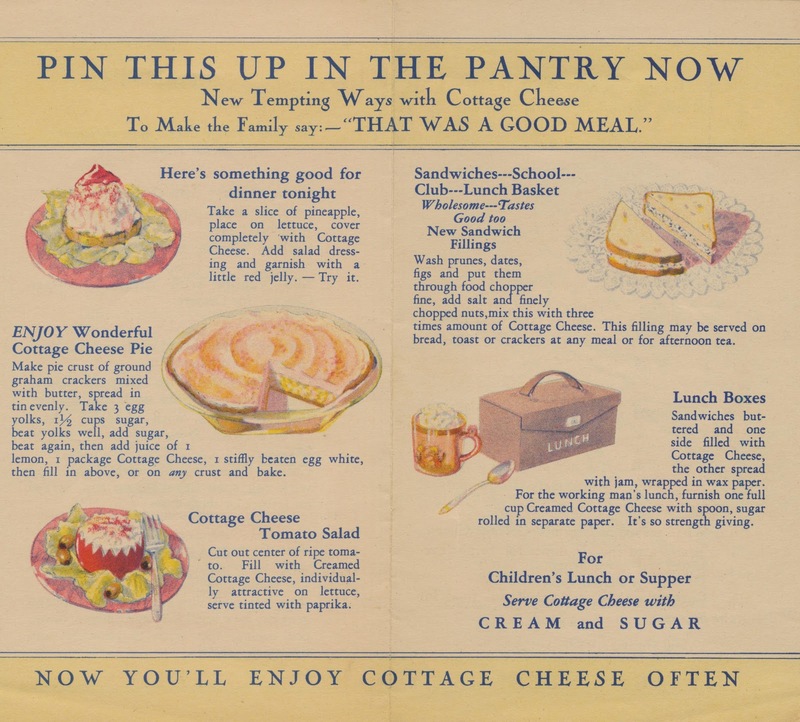 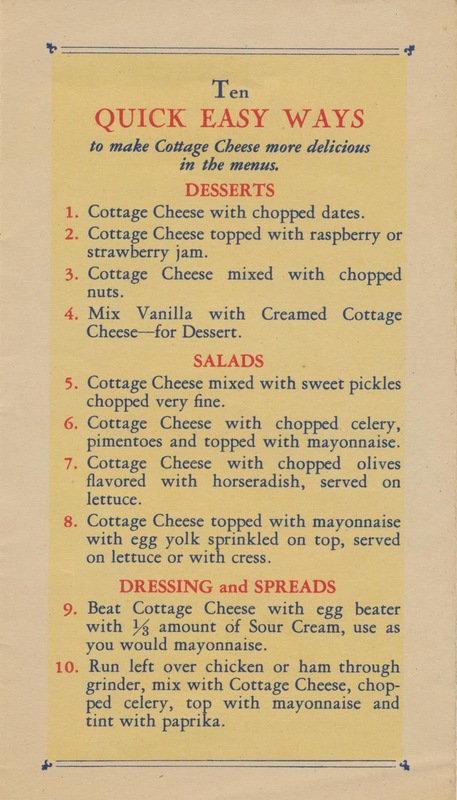 It was practically set in stone that cottage cheese had to be on a diet plate — but it looks as though there was little realization that it would be considered a classic dieter’s lunch when this booklet came out!